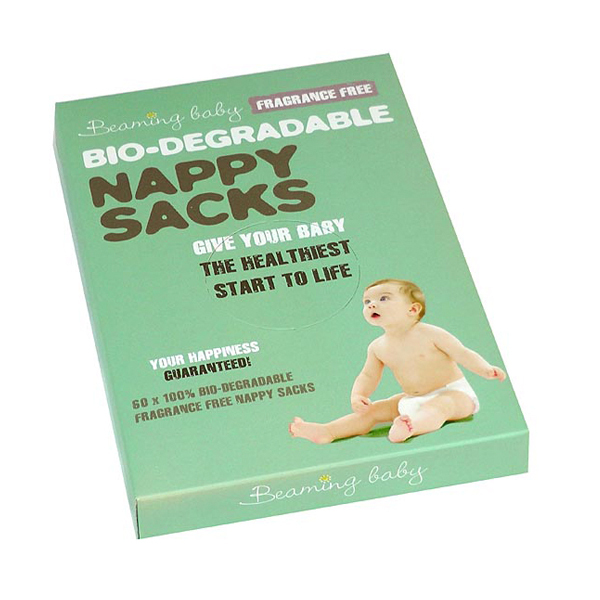 Beaming Baby Bio-degradable Nappy Sacks Fragrance Free is 100% bio-degradable and 100% compostable. 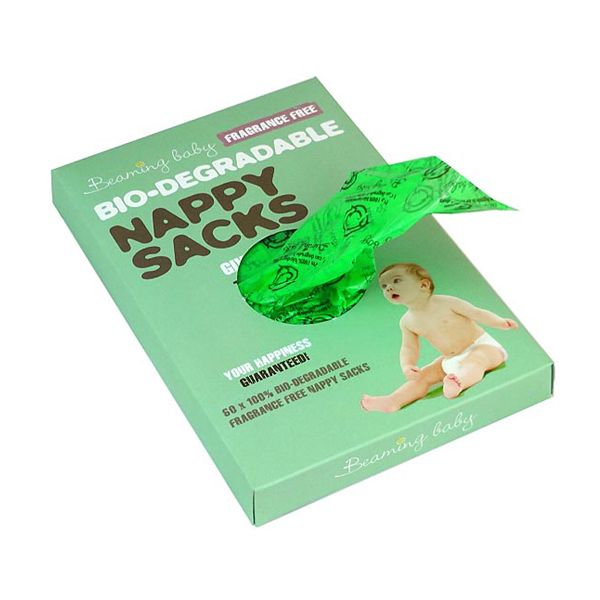 This nappy sack is the perfect partner to our bio-degradable nappies and baby wipes. Choosing these Nappy Sacks shows that you care. Together, we will make sure that our planet will still be a lovely place when your baby grows up. Made of Bio-degradable plastics. The cardboard box is made from 100% recycled paper, FSC certified. Bio-degradable plastics are eco-friendly (over 80% of plastic bottles ever produced still exist, somewhere in the world). The nappy sacks contain an additive, put into the plastic at the extrusion stage, that will make the finished product "oxo-biodegradable" so that it will 100% degrade and disappear in only 2-5 years, leaving no fragments, no methane and no harmful residues. For clean, easy, environmentally friendly disposal. 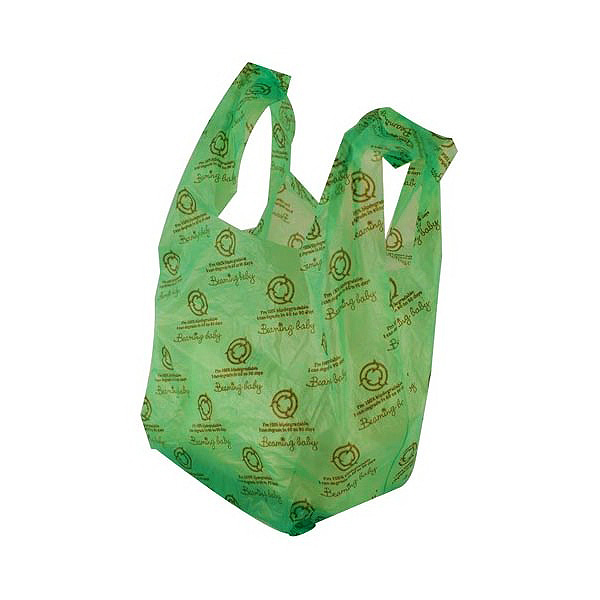 This nappy sack is 100% degradable in 2-5 years. Standard plastic bags take around 400 years. Please don't flush the nappy sack in case it will block your loo.